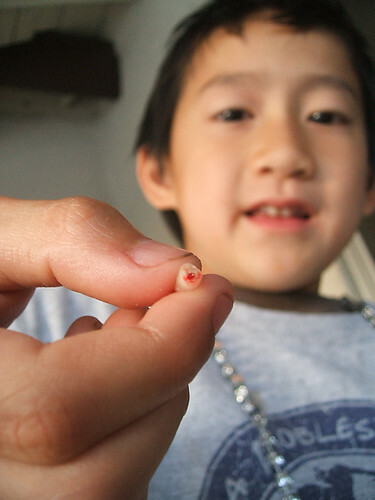 his first baby tooth that fell out. My family told him to throw it towards the roof for good luck. Must be a Chinese thing.